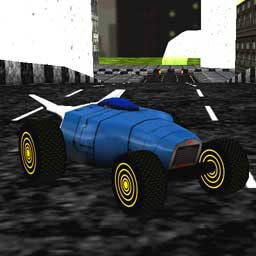 That's a fan-made car of the Re-Volt gallery picture lib2d.bmp: A drawing of a car with a scientific style made by Paul Phippen. Actually, it's an abandoned idea of developers, and was never created. Please note that "Tesla" is a fictitious name, not the real name of the car.